Add the dry masalas , salt and ginger garlic paste and cook, stirring in breaks. After a while, add water to make gravy. 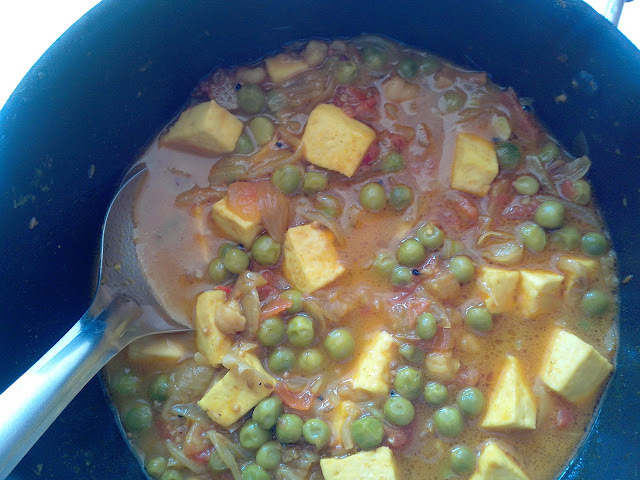 Cook a bit more till the gravy mas alas are absorbed by the paneer. Serve hot with pulav or pooris!